Peterson & Jake is a tax and accounting firm that sets itself apart by the personal care offered its clients. It provides income, state, and payroll tax accounting, tax planning for businesses and individuals, non-profits, estates, and trusts. They are Quickbooks Pro accounting, bookkeeping, and payroll advisers as well. After the Navy moved her from Italy to complete her Bachelor's degree at the University of Washington, Dawn Jake fell in love with the beauty of the Pacific Northwest, and decided to stay. She and her husband subsequently raised two children. Chlesi, a graduate of Central Kitsap High School, is currently in college on the eastern side of the state, while their son is a junior at South Kitsap High School. When not dedicating massive amount of time to helping her clients acurrately and efficiently complete their taxes and manage bookkeeping, Dawn enjoys spending time with her family exploring the great outdoors that kept her here. For more information, visit their website or like them on Facebook! Teresa Baker and her husband own this month’s member spotlighted company, Kelly’s Café and Espresso. The local restaurant has two branches. In Gig Harbor, the first storefront was opened in 2006, after Teresa worked under her brother at his Seattle restaurant, igniting her restaurant bug. Teresa’s family has been in South Kitsap for decades, so when she was ready to expand, Port Orchard seemed a natural destination. Since opening in 2013, Kelly’s has won awards for Best Breakfast, Best Burger, Best Fish & Chips, and Best Ice Cream. 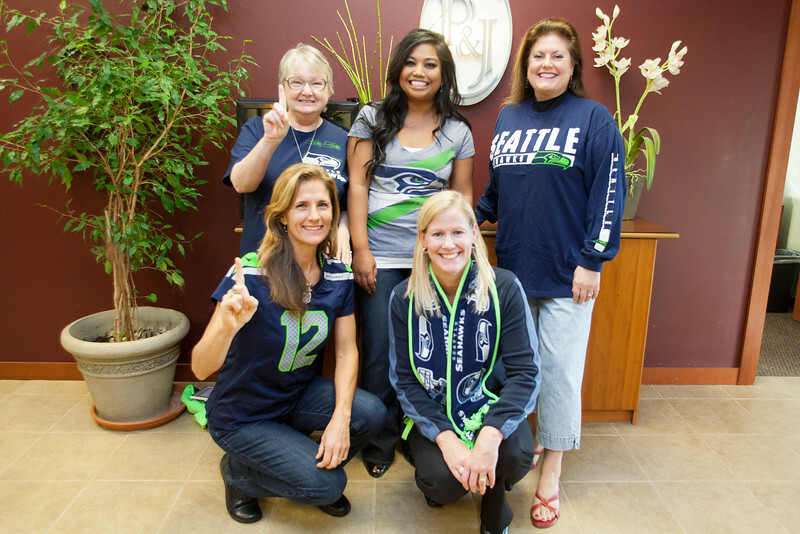 When not working, Teresa and her family enjoy supporting South Kitsap’s strong community, where their business invests in schools and valuable youth programs, her sons play basketball, and her entire family follows the Seahawks. Kelly’s Café & Espresso strives to be a place of community and warmth, where everyone from locals to visitors feel at home. South Kitsap Helpline. They offer clients a $25 discount on a repair call with a non-perishable food donation to benefit the food bank. “We have donated, from the generosity of the Air Masters clients more than 2,500 pounds of food,” she noted. cost of Hidden Creek’s Youth Camp Colman. challenges of growing a small business here in Kitsap County,” said Timmerman. percent of all company rated on Angie’s List — a national provider for consumer business reviews. 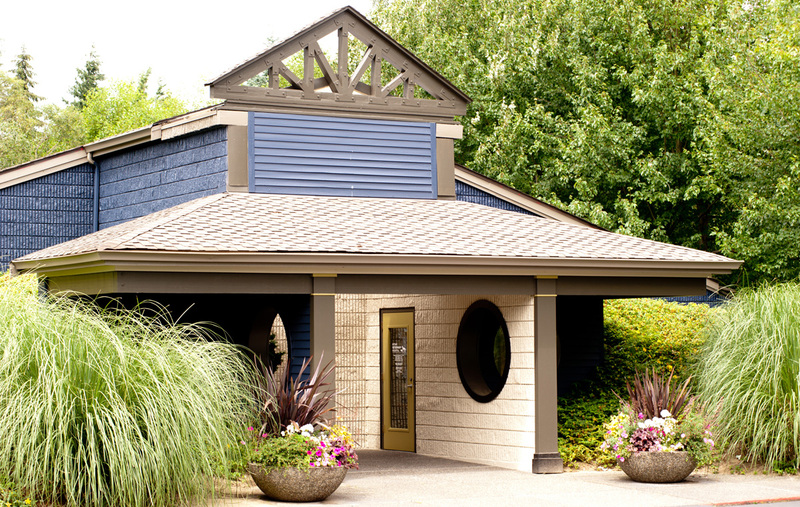 In the past they have received top reviews from Checkbook and West Sound magazines. For more information about Air Masters, visit www.airmastersheating.com or Air Masters Inc.
on Facebook. 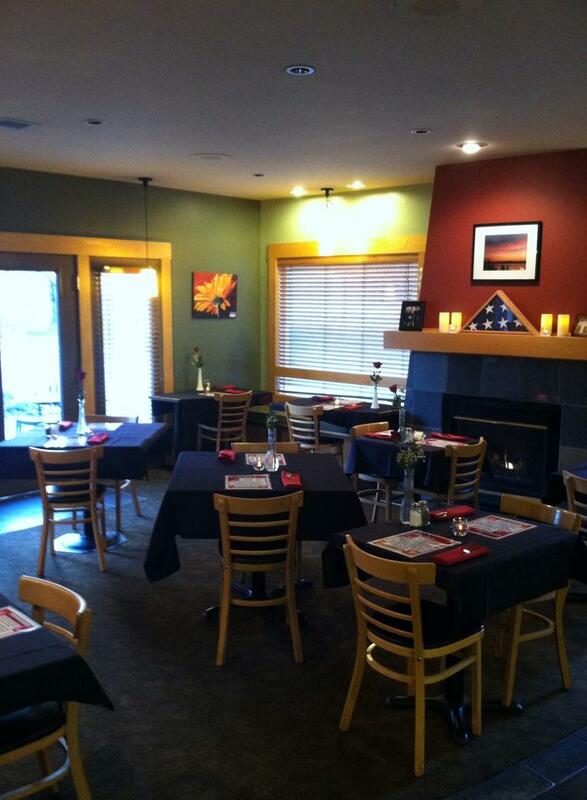 They are located at 3210 SE Mile Hill Drive in Port Orchard. They can be reached at 360-895-2527. -Feature article of Air Masters Heating in the Port Orchard Independent on 09/26/14 By Dannie Oliveaux. January's Member Spotlight is a little different, as beginning in 2015, each month will be host to multiple member spotlights. The first company or organizaion to be spotlighted on our website is Kitsap Veterinary Hospital, which has been in Port Orchard since 1947! The current lead veterinarian is Sarah Buck, who started working at Kitsap Veterinary School immediately after graduating from WSU in 1999. Originally from Vermont, Sarah received her Doctorate of Veterinary Medicine from Washington State University in 1999, and began subsequently training in high quality veterinary medicine and surgery under Dr. Christman and Dr. Holt at Kitsap Veterinary Hospital. Dr. Buck appreciates the sense of communiy and variety of outdoor activities the Pacific Northwest has to offer, and when not working, enjoys running, playing with her dog and cat, and running her sons to soccer and baseball games. Kitsap Veterinary Hospital is proud to be a fast-paced veterinary practice that offers quality customer service and modern medical care. They see dogs and cats for everything from wellness care to spcialty medical and surgical procedures, and would love to make you and your pet a part of the Kitsap Vet family. 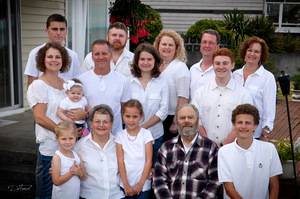 This month’s member spotlight honors Chamber member Port Orchard Auto Body, owned and managed by John and Janet Latham. Though Port Orchard Auto Body has been open only since April, John and Janet have over 30 years of experience in collision repair. The company focuses on collision repair and painting. As owners, the Lathams emphasize their fantastic customer service. Being local enables them to know their customers personally. They always deal honestly, and take great pride in the quality of their shop’s work. 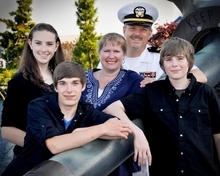 Though originally from the Seattle area, the Lathams have called Port Orchard their home for the last twenty years. In contrast to Seattle’s big city atmosphere and crime, they “love the hometown feel” of Port Orchard, and are thrilled to see what’s next in the revitalization of Port Orchard. When not working, Janet and her husband take full advantage of the many outdoor activities available around Washington, from fishing and camping, to motorcycling and riding ATVs. Additionally, they enjoy collecting and rehabbing classic cars. Though in her previous career, she was often unable to dedicate a lot of time to networking, Janet has greatly enjoyed the networking opportunities made available through the Port Orchard Chamber of Commerce. 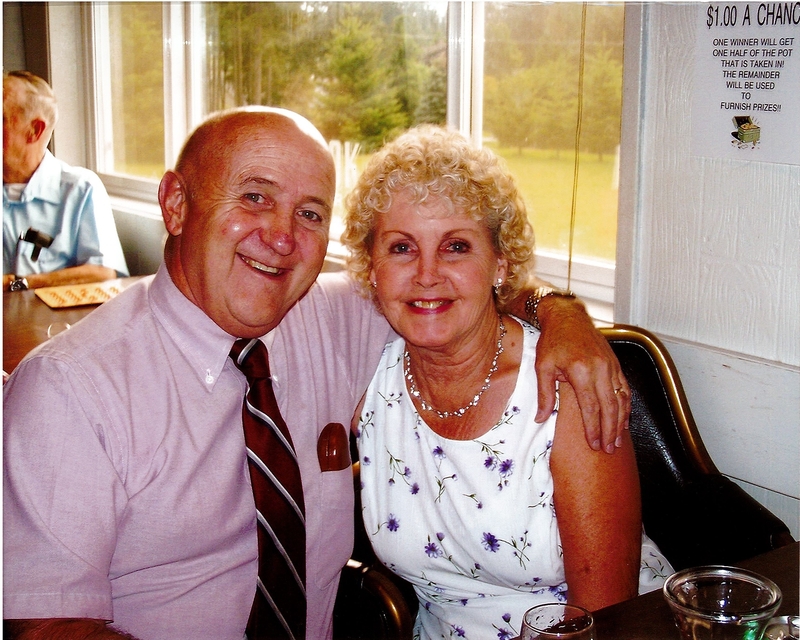 She and John look forward to continuing their involvement in the South Kitsap community as it expands, and hope you’ll remember them the next time you need body work done on your car. Locally, the Port Orchard Eagles Club participates heavily in charity, providing for our community through meals for first responders and fundraisers for the South Kitsap Helpline, Alzheimer's research, and other great causes. Money raised from dues, live bands/dancing, and other dinners go to helping great local non-profits support the community. As a military family, we truly appreciate another business that recognizes the sacrifice not only the military member gives, but how hard it can be on the family back home as well. DeFord Photography gives to our military community and we are so grateful for this beautiful family photo. These beautiful wall portraits are displayed in many homes and offices throughout our area. Photography has been a passion of mine for several years. I've enjoyed creating Family Portraits that Make Time Stand Still. 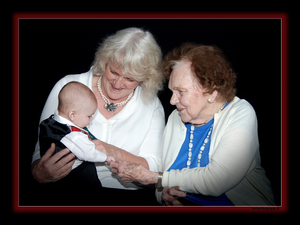 My family came to DeFord Photography for A Creation Session involving a 4 generation photo. Shirley candidly photographed this tender moment of Daniel, (my grandson), his great grandmother and myself in between poses. This single photo captured the heart of my family in a way we will treasure forever, especially since my mom passed away not long after this was taken. If you're even thinking about getting photos done with your loved ones, do it now! Moments like these are not here forever. Thank you, Shirley, for working with our large family, and special circumstances. You were amazingly flexible with the Creation Session that we wanted, changing directions quickly to accommodate dad when we realized that he didn't have the energy to do the different photo locations that we originally envisioned. We came away with some beautiful family portraits that we will always treasure, as they are the last photos we will ever be able to have with all of us together. And the extra effort on your team's part to get them edited and printed on such short notice were beyond expectations! ~ if you want to 'touch your heart' each time you glance at the portrait, and if you want to be truly proud of the portrait and its vision and design, then you will find this information very interesting and helpful. Now of course, I'm biased, but I truly believe that a more artistic, carefully planned, and creative style of portraiture is much more meaningful and valuable to you than an 'everyday' photograph that you can have taken anywhere, anytime and by anyone. A finely crafted portrait ~ something that captures the true meaning of your life, and visually and emotionally expresses what your family is about, will grow in value to you and your family as the years go by. Check out my website at http://www.defordphotography.com!